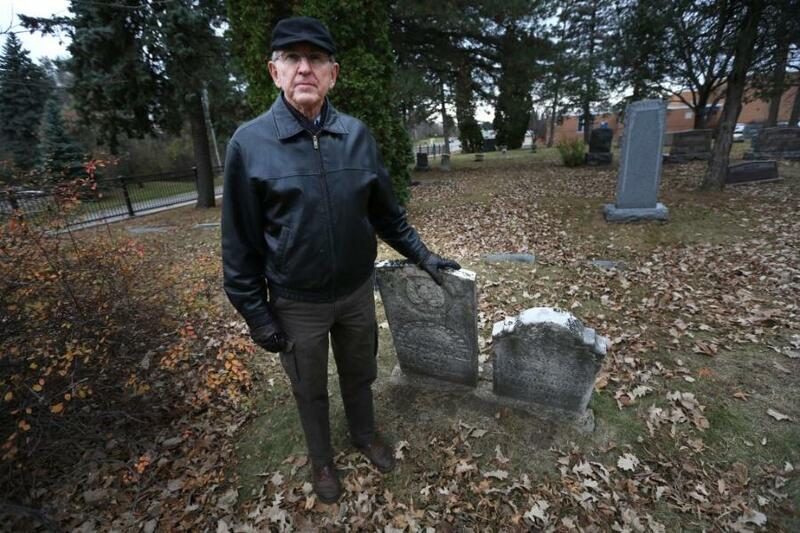 Ken Flies has been tracking down graves of Minnesota soldiers killed in the Civil War. Photo by Jerry Holt, Minneapolis Star Tribune. Appeared in Nov. 11 edition of the StarTribune. Today we celebrate Veterans’ Day by honoring those who have served and continue to serve in the U.S. armed forces. Veterans’ Day and Memorial Day are the two days of the year where cemeteries are in the spotlight. Sure enough, I opened to the Metro section of the Minneapolis StarTribune today and saw a story on a group that is tracking down the graves of Minnesota Civil War soldiers killed in battle. These gravestones, if they even exist, are crumbling and eroded. Members of Gov. Dayton’s Soldiers’ Recognition subcommittee are planning to erect new gravestones for the soldiers. Part of the plan is to put computer chips on the markers which people can scan with mobile devices to learn more about the Civil War and the soldier. Only 18 such graves are known to exist. Most of the 800 Minnesota soldiers killed in the Civil War were buried elsewhere, such as battlefield cemeteries. Some of the ones brought home had made their wishes known in writing. I think it’s great that people are working to make sure these soldiers are not forgotten. I would love to see the new gravestones when they are erected. What important work he is doing. Have you heard of the story Larry Kortuem (yes, a relative – my Dad’s cousin) helped investigate about someone mistakenly buried in a pauper’s grave? How fascinating to find out so much about people who lived so long ago. I do remember this story, now that I read it again! I think it’s a great story. A lot of people might think, “It’s so many years ago, what does it matter?” It DOES matter. In a spiritual sense, Charlie will know that he’s being laid to rest in the right place. I just want to tell you that I love the theme and focus of your blog. This post, like the others I’ve read, are so interesting to me. I love history that is about the average people, such as those found in the local “graveyard” or family tree. Thank you so much! I really appreciate this. I totally agree with you–cemeteries and the stories there have always fascinated me. We are not alone; I think a lot of people are interested in the same thing!